To enter our competition, you must be signed in to the site. 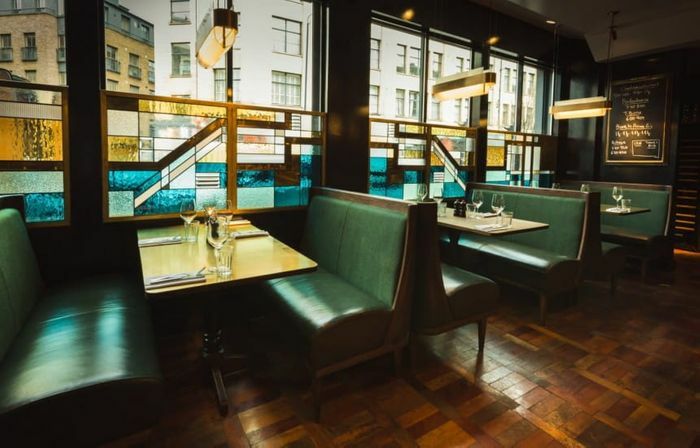 Spitalfields was the first restaurant in the Hawksmoor group and has recently been glamorously revamped with reclaimed furniture and fittings including stained glass windows and a parquet floor that was sourced from a sanatorium in Northumberland! There are also some new dishes on the menu alongside the Hawksmoor classics including a Twelve hour beef short rib with claret, bone marrow & Roscoff onions, Roast scallops with fennel pollen & garlic and Tunworth mash (each portion of which is made with a quarter of a Tunworth cheese) which I personally can’t wait to try! We had it in mind that the voucher would cover a meal for 4 including cocktails and a bottle of wine but if you want to blow it on two of you that’s up to you!